Bootyman printers was founded in the city of Hull over 100 years ago and today we are one of the country’s leading suppliers of wet glue/flexo labels and folding box board packaging. Our expertise in producing high quality work from design and print to delivery of finished labels and packaging has led us to produce work for some of the country’s leading brands including Tesco, Morrisons, Saisbury’s, Co-operative Foods, Asda, Aldi and Lidl. In addition we supply packaging to many independent suppliers of foodstuffs, drinks and household produce throughout the UK and internationally. 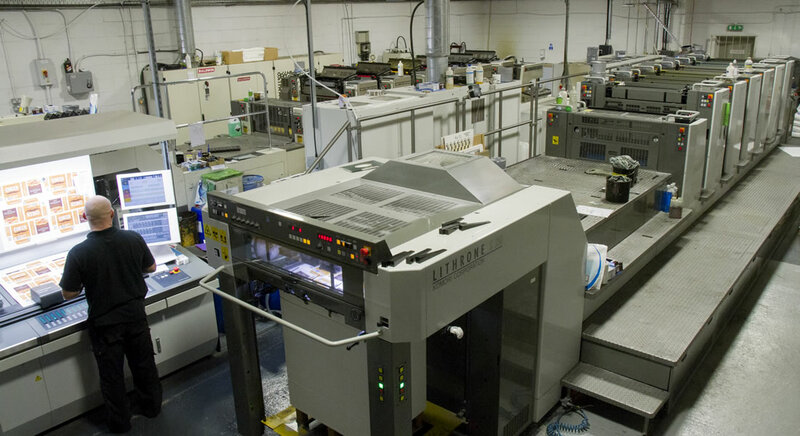 We have our own in-house reprographics and platemaking department utilising the latest hardware, software and computer-to-plate technology to make sure that every step of the print process is kept under one roof. We use closed-loop spectrophotometers on all of our presses to ensure ink colours are constant throughout the entire run length and from job to job. The colours are also checked against our own FOGRA 39 certified press proofs. Our litho presses also offer both spot and flood varnishes in a wide range of finishes. Foil blocking and u/v finishes are also part of our offering. Our reel fed section operates two seven colour flexo printing machines producing self adhesive labels slit and wound to customer specifications. We can also supply a wide range of digital and large format print including short run pre-cut self adhesive labels, business cards, stationery, booklets, flyers, banners and mounted signage on a wide variety of substrates. The latest Konica Minolta and Xerox machines help us to produce digitally printed mock-ups of proposed designs for our customers . This means we can take care of every type of printing our customers need providing colour consistency across the range. We are ISO 9001 and BRC accredited.